When a loved one dies, there are many issues that need immediate attention in order to hold the funeral and cover pressing expenses. However, the bulk of dealing with the aftermath of death is addressing the distribution of the deceased’s assets. Hopefully, he/she executed an estate plan that outlines how property should be divided, which simplifies and streamlines settling an estate. While living trusts are a popular method of estate planning that many individuals choose to create, many estates still need to go through the probate process to fully settle any outstanding debts and distribute assets to family members. Probate is necessary to divide property that belongs to a person at the time of death, and is not disposed of by another mechanism. Trusts are created in part to avoid probate, but not everyone needs one, and even when a trust is in place, it is not uncommon for some property to fall outside of it. Wills, on the other hand, are a necessity for everyone, and probate serves to validate and enforce their terms for the benefit of any named heirs. Consequently, probate is a process most families will encounter, and a discussion of how this process works will follow below. 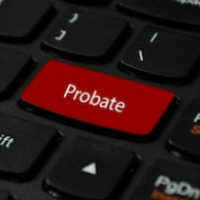 The overall purpose of probate is to identify, collect, and distribute a person’s property after death according to the terms of his/her will or under Florida’s intestate laws, which apply when there is no will or a will is ruled invalid. The probate court oversees this process and is in charge of appointing a personal representative to handle the deceased’s affairs. Property may not be legally transferred to heirs without going through this procedure, assuming it was not jointly owned with someone else, or passed to a new owner under a contract or other legal arrangement. Consequently, this process is important to settling the rights of heirs to assets they are entitled to receive. In addition to distributing property, the other main purpose of probate is to validate the deceased outstanding debts and pay them if necessary. The length and complexity of a probate case will depend upon the type of administration that is filed, and most families will fall into one of two types: summary and formal. The complexity and duration of probate will principally hinge on the number of creditors and how well family members get along. Summary administration is much shorter and less involved, but is subject to asset and/or time limits. If the deceased died more than two years ago, all creditor claims are barred, and no notice is required to be given. Formal notice is still required for potential heirs in summary administration, which can be troublesome if there are delays, but the time to completion is typically three to four months for estates that meet the asset limits and have a creditor claim to settle. Those without creditors or past the two-year mark can usually be closed within just a few weeks. Formal administration, as the name implies, has additional requirements and takes a longer period of time. More documents have to be filed by the personal representative, and interested parties have opportunities to object to each. Further, these estates tend to be more complex, meaning collecting and managing applicable assets, including the need to sell property for proper distribution to heirs or to settle creditor claims, adds more steps and time. If the family members are not in agreement over the estate, these cases can last years. However, the general timeframe for formal administration is approximately six months for simpler cases to a year or more for complicated situations. An experienced probate attorney should be consulted on how to proceed in a particular situation. Any court proceeding is overwhelming for those not used to the legal process, and the numerous technical requirements of probate only enhance this issue. If you have questions about a loved one’s estate or how to simplify the probate process for your family after you are gone, talk to William Rambaum about your options. Probate estates need proper attention to avoid delays and disputes, and attorney William Rambaum can help you move through this process as smoothly as possible. Contact the office to schedule an appointment.